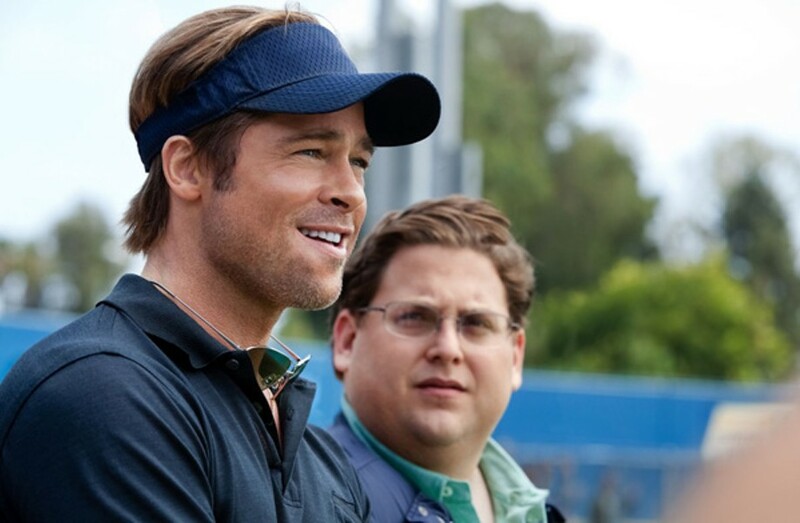 The popularity of Moneyball means the A's need to find a new competitive edge. For more than a century, Oakland has been the region's second city, and has built its identity on that — for lack of a better word — distinction. The sports franchises that call the East Bay home similarly wear chips on their shoulders like epaulets. The year 2011 has seen the city itself emergent. You could sense it coming with sinsemilla, but Oakland, once baked, has now awakened as Ground Zero for the Occupy movement, its blend of artists and the impoverished, of the intellectual and the anarchist, and its mix of races and causes having created a milieu that has put the East Bay's biggest city on the front page and the front lines of what may be the nation's next big moment. If a civic entity can develop a whole new identity, is it a such a big stretch to find a clean-up hitter? This year has brought the local sporting set more than just new coaches: It's clearly the Age of Jackson. The Raiders charge out with Hue Jackson (no head coaching experience) and the Warriors anoint Mark Jackson (no head coaching experience), with only the Athletics missing out on their chance to hire Reggie Jackson (NHCE). Instead, the A's brought in a better Bob (Melvin for Geren). Exchanging managers isn't unique, but doing it in choreographed fashion is kind of flashy. What makes the scene so special is that for each of the pay-for-play franchises that call the 510 home, this tear in the time-space continuum means each has a unique opportunity to turn in one identity for a better one, or, at the very least, a different one. The A's mystery of Moneyball has now reached the multiplex and blown up any chance to sneak a curveball past the lowliest general manager in the dumpiest minor league. The Warriors have new ownership, who come from Hollywood and the Board Room and who will no more settle for the flat-lined existence of basketball's most anonymous squad than they would for sharing profits or credit. And the Raiders this year laid to rest the Great and Powerful Al, meaning that if they ever wanted to be something other than gangster-wannabe spectators yowling for their superannuated quarterbacks, underachieving wide receivers, drug-abusing offensive linemen, penalty-riddled defensive backs; if they ever wanted to be anything more than grievance holders who would make conspiracy theorists blush with embarrassment and sober perspective — all while clinging to the ghosts of better days that they are too concussed to remember clearly — why then, this is their moment. In a year when the tenants of 7000 Coliseum Way lived through an earthquake that hit the region on earthquake awareness day, while seeing the old ball yard get another cryptic corporate identity (O.Co?) hoisted up on the nation's sorriest playing facility, it is, of course, a sign. The Oakland A's have the most experience shape shifting, and in some ways the biggest challenge ahead. Their decades in Oakland have gone from the Moustache Gang to the Bash Brothers to Beaney's Babies. Now that even the wealthy teams have figured out buy-low-sell-high, the Athletics are stuck with a slingshot at a gunfight. Trading young players while still under contract to get younger players is pretty played out. The big move of the offseason was swapping our 24-year-old All-Star Trevor Cahill for a handful of middle-school prospects. Fans of the Green and Gold know that Andrew Bailey and Gio Gonzalez are next. The A's have the preemptive thing down cold; it's the strike part that they seem to have abandoned. With owner Lew Wolff making sheep eyes at San Jose, maybe the Athletics' best play is to be so repellently unwatchable that the South Bay hub refuses to build a ballpark for them. Oakland will be able to keep the Single-A's because no other civic entity will take on the risk of having so many unskilled, underage players on the field at the same time. So rather than curse the fact that Oakland has dollar dogs in the concession stand and on the base paths, let us try to endure greedy ownership, who choose to put a team on starvation rations and prove to the sporting world that downsizing isn't just a corporate model but a rebuilding plan. You can't spell Abandon All Hope without the "A." So let us hunker down, keep a low profile (hard to do in bright gold jerseys), and take our licks while the owners allow a once-proud property to depreciate. Maybe the bosses have outsmarted themselves and created a product so sickly that no one will want it and then choose to sell while fans wait in the weeds for this, too, to pass. That's the thing about baseball, yo — there's no clock. We're A's fans. We can play extra innings. The Warriors are the team that aspires to be at least an afterthought. With a remarkably stable fan base, weaned and won over by a 40 percent victory average since the first Bush administration, the new owners have an easy hurdle to leap — as long as they're not irrelevant, they've accomplished something. Golden State has shown commendable consistency, living up to its boring, indistinct name by playing tedious, non-engaging basketball for decades. This year's model on the court looks like those of years past. Two guys who play the same position, nobody to play center, and the rest of the crew that will never come back to haunt the team even if they're given to others in trades. The big change is at the top, a front office that offers real star power, in the guise of big bucks owners and general counsel, Jerry West. Everywhere West has been comes home a winner (maybe "The Logo" didn't know that "Golden State" meant this unit), and that's how smart these new owners are — they signed up the Smartest Guy in the Room before he could figure out he was here. It will take the brain trust some time to chop down the deadwood that makes up the Warrior roster, and championship dreams are too farfetched to dream of as long as Andre Biedrens comes anywhere near the foul line. This team only has to trend in a direction to be newsworthy. I'm guessing the payoff will come in the playoffs, a short visit this year, longer stays straight ahead — or rather, due West. Finally, the Raiders. The first year A.D. (After Davis) has looked depressingly like all the rest of this millennium's teams. Here's where The Silver and Lack most need a transplant. This has been a valuable lesson, watching the team stink slowly toward also-ran status yet again. It isn't Davis or his ectoplasm causing this, until the Raiders recognize that just being exceptional (in the sense of doing things nobody else is doing, signing players nobody else wants) does not produce exceptional (as in glorious) results, they are doomed to continue the losing gambler's game: They're hoping to draw to an inside straight every damn hand. Sure, once in a while that dream will come true, but everyone else in the room is playing the same game, and they have the odds sheet in front of them. Certainly not as swashbuckling as in days of yore, but unless all the Raiders fans want is to trip down memory lane, they best find out how teams do it in the first half of this century. The people of Oakland have shown the City of Oakland that it's possible to start over. Not a bad philosophy for the teams who wear the city's name on their jerseys. It's an attitude they need to adopt while everything is in flux. Or rather, an approach they need to occupy.